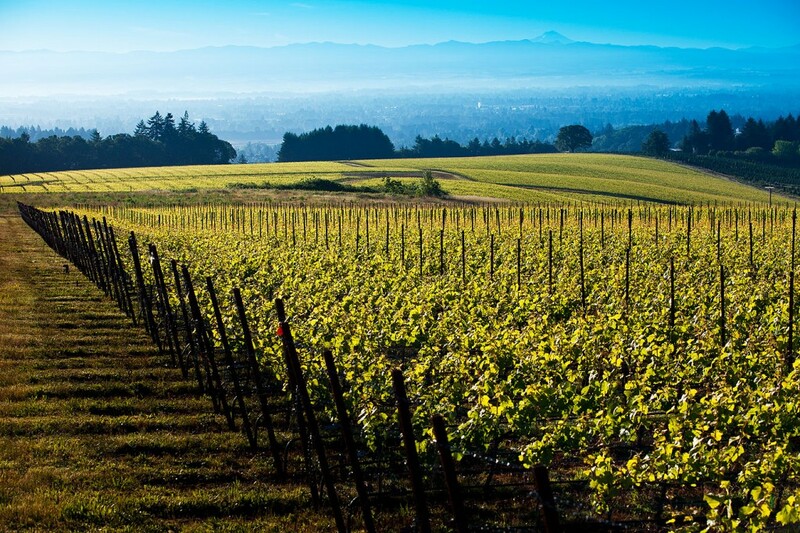 Roserock Vineyard, west of Salem, includes over 100 acres of pinot noir. Almost three decades ago, Véronique Drouhin--daughter of one of Burgundy's first families--embarked on a fateful internship to a little-known wine region called the Willamette Valley. What she saw, what she tasted while working at Sokol Blosser and Bethel Heights convinced her (and convinced her father, Robert, too, when he came to visit) that the gently rolling hillsides between Portland and Salem had the potential--like Burgundy--to grow superb pinot noir grapes. In fact, Robert Drouhin gave the enthusiastic keynote address at the first International Pinot Noir Celebration in McMinnville in 1987. A parcel of 100 acres in the fabled Red Hills of Dundee came onto the market shortly thereafter. David Lett, Oregon's most famous wine maker, was vacationing in France, staying at the Drouhin's guest house, when his colleague David Adelsheim called with the news. Drouhin didn't hestitate; he asked Adelsheim to buy the property for him.. A modest real estate transaction, but significant; Governor Neil Goldschmidt even acted as master of ceremonies for the press conference. In one swoop, Drouhin, known primarily as a "merchant" or "shipper" had acquired as much vineyard acreage in Oregon as the family had accumulated over six generations in Burgundy. In the intervening years, Véronique has stayed on as winemaker for Domain Drouhin Oregon (or DDO, as it's known) and the wines have regularly been in the front rank of Oregon's most prestigious bottles. But there was always the sense that Drouhin would do something else, something more, and now the other shoe has dropped. The news, announced very quietly last month, is that Drouhin has bought a 279-acre property, Roserock Vineyard, planted with over 100 acres of pinot noir in the Eola Hills, west of Salem. Don't worry if you've never heard of Roserock; it's not a bonded winery. The vineyard's grapes are--or have been, until now--sold to a variety of wineries. Owned by CalPERS, the California Public Employees Pension Fund, Roserock was one of a dozen or so properties managed (essentially as real estate investments) by a Napa outfit called Premier Pacific Vineyards. As is customary, no financial details were disclosed, but trade estimates value a single acre of pinot noir vines at $100,000. Véronique told a British trade publication that she and her brother, Philippe, feel Roserock has the same potential that their father saw in the Dundee property. Howard Rossback, whose Firesteed label purchased a 200-acre vineyard 10 miles west of Roserock, away in 2007, welcomes the Drouhin expansion and its exposure for the Eola Hills. 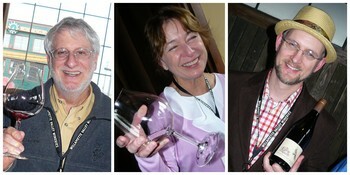 "Now we have new, well heeled neighbors who are discovering the exceptional potential of the mid-Willamette Valley. This is all very good for the entire Oregon wine industry, and should encourage much more independent vineyard development throughout the Willamette Valley and the rest of Oregon." A major rival of the Drouhins, Maison Louis Jadot, last year also announced plans to expand into Oregon, purchasing an eight-acre parcel in the Yamhill-Carlton AVA,. Jadot's recently retired cellarmaster, Jacques Lardière will be the wine maker. 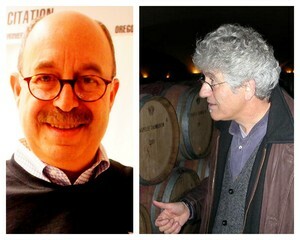 Rossback worked with the Drouhins on a project they called Cloudline, developing the name, the label and the initial blend; he sold his minority interest before the wine reached market. It's probably worth noting that all the recent transactions--Burgundians buying vineyards--are for Oregon. The other candidate with potential for pinot noir was New Zealand, but that's fallen by the wayside. This page contains a single entry by Cornichon published on January 2, 2014 12:30 PM. Wretched Excess, Wall Street Edition was the previous entry in this blog. Keep your fingers crossed! is the next entry in this blog.